Niehuus appears in this 1937 painting (left picture) way more moderate and traditional than in his earlier work „The Harlekin Girl“. Hans Niehuus, „Harlekin Girl“, 1920s, (in the collection). 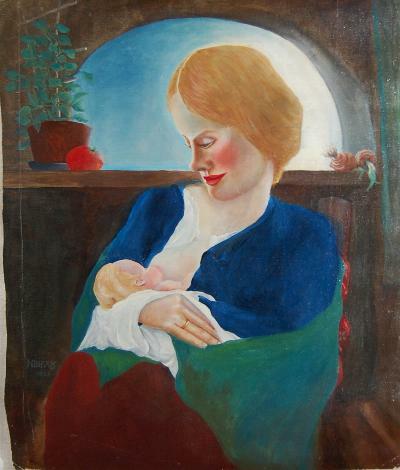 Several other works from the same source as the present „Mother and child“ are documented, signed „Hermann“, „Hans“ and „Niehaus“ .